Rocket Simulators: Students will check out the Rocket Simulator websites that are posted and try to see how high they can score. What was your maximum height and speed? What was the Mass, Thrust and Thrust time on your high score? Why does the rocket fling around the moon/Earth? What is the co-efficient of drag? What was your highest score? What was the settings of your highest score? A project that a colleague and I have been working on has begun cultivating into something big – I hope. This project was based on the #CBL Connections-based Learning framework developed by my colleague Sean Robinson. The idea of connecting, collaborating, and cultivating in order to make meaningful learning experiences. 1.3 billion people don’t have access to sustainable lighting. The immediate danger isn’t the carcinogenic nature of kerosene lamps: people are dying in fires due to flame based light use at night. My Science 9 students got to hear firsthand of the conditions in areas dealing with light poverty. 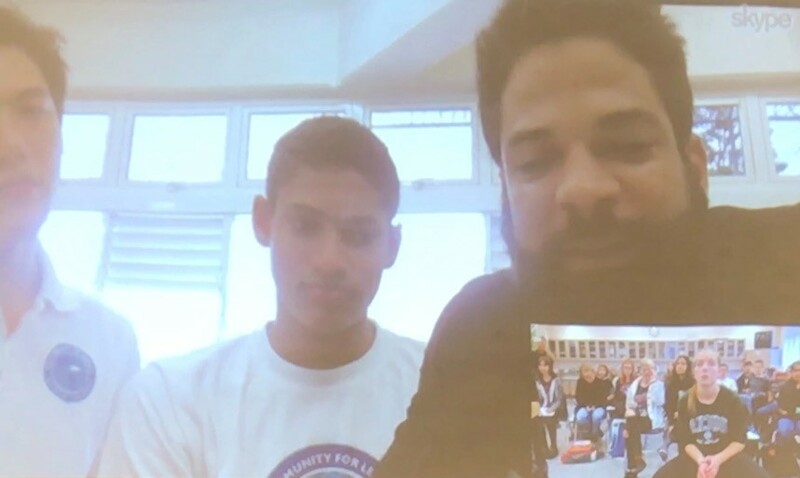 In a Skype chat with Eladio, Dennis and their students from The Community For Learning School in the Dominican Republic, we heard about the conditions in the bateyes. These workers in the sugar cane fields live with little to no electricity; accessing safe light at night is one of the many struggles with which they deal. Something as simple as electricity is a life-changing technology that we take for granted. No lights? No heat? No refrigeration? No cell phone? No TV? In the year 2017, electricity is something that everyone should have basic access to – but unfortunately it is not. This was our attempt to help bring safe electricity to families in need. My thought process was: If I can help just one student have light to help them study, I am extending my role and doing my part as an educator. After multiple trials and tribulations we had finally completed our first prototype. The prototype was an exact replica of the prototype that was sent to us by Ian Fogarty but nonetheless it was our first, and it worked! We needed this to give ourselves a better understanding of how the light worked in addition to having an example prototype for our students to see. It started out as Sean’s implementation of the project with his Science 9 students. Again, you can read more about the beginnings on his blog. It has now continued over into my Science and Technology 11 class. After watching the videos, seeing the Skype chats with Eladio Jimenez – the teacher we are collaborating with – and brainstorming our own ideas, we dove right into the making of our prototypes. Now, because none of my students have done any serious electronics before, we had to go back to basics. What is a circuit? 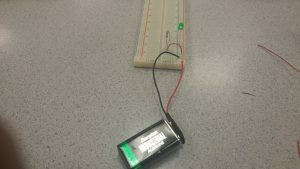 How does electricity flow? What are common electronic components? We started by answering these questions and fiddling around with breadboards until we saw the light bulb go off – quite literally. From this point, it was a matter of re-designing, assembling, soldering, and building our new lights for the people in the Dominican Republic. 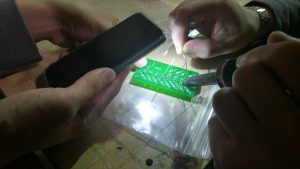 As Spring Break was approaching we had our first prototype, a couple of new designs, partially assembled circuit boards, and a whole bunch of spare components to continue the manufacturing stage. There was a lot of work being done prior to Spring Break so a vacation was much needed at this point. It just so happened that I had already planned a vacation to the Dominican Republic for Spring Break. However, due to the hustle and bustle of the weeks prior to Spring Break I had almost completely forgotten about my trip. We had planned to stay in Punta Cana for only a week but after speaking to Sean and Eladio we just had to figure out a way for us to connect in person. By stroke of luck, coincidence, and some last-minute planning, an amazing opportunity arose from our connections with the educators in the Dominican Republic. 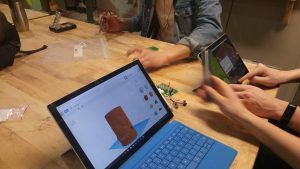 What is connections-based learning? To be honest I had no idea until the beginning of this year. 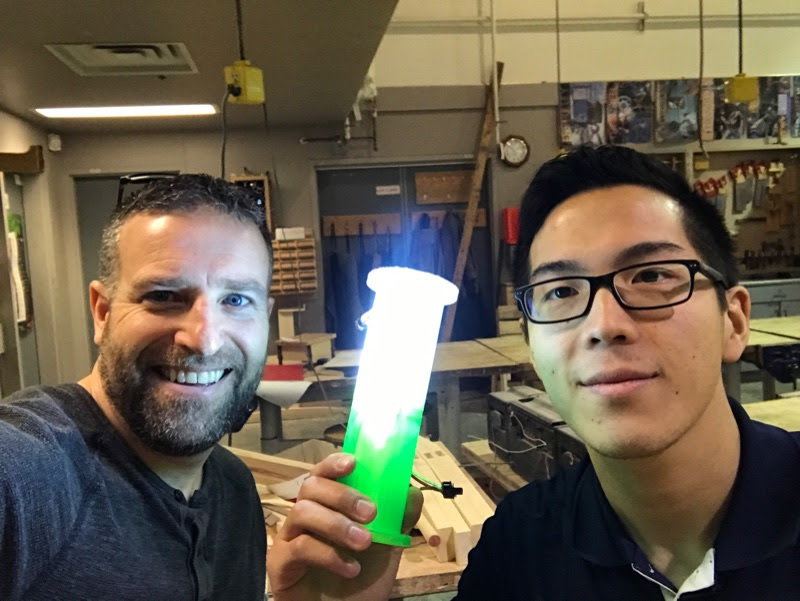 Sean Robinson, who is a teacher here at Riverside Secondary School, introduced me to this innovative approach to learning. 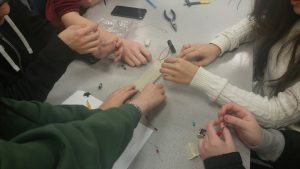 Connections-based learning is as simple as it sounds – learning through connections. These connections can be made with peers, students, teachers, members of the community, and even people from across the globe. It truly is a fascinating idea.